Universal Pictures and Blumhouse have released the first trailer for the new sequel to John Carpenter's original 1978 slasher film, Halloween. This titled exactly-the-same, forty-year-later sequel is said to pick up in real time after the events of the first film, disregarding all subsequent films, and follows the residents of Haddonfield on another horrifying Halloween night as Jamie Lee Curtis’ Laurie Strode faces her greatest fears when Michael Myers escapes the asylum where he’s been locked up since his first killing spree. Naturally, Strode has attempted to move on with her life and seemingly has as this movie will feature Judy Greer as Laurie's daughter, Karen, as well as Andi Matichak (Orange is the New Black) as her granddaughter. Where the narrative will go outside the "one final confrontation" remains to be seen as this teaser trailer more or less plays up the return of the series to its roots more than it does offer any insight into what the actual movie will contain-which is more than fine as it does this in an effective manner-but this is no doubt the point of most concern and curiosity. Curiosity due to the fact the screenplay was penned by new franchise director David Gordon Green (Pineapple Express, Stronger) and one of his past collaborators in Danny McBride (yes, that Danny McBride). There is no doubt Green is a capable director who has the ability to ride any genre of film to success (see All the Real Girls, Snow Angels, Prince Avalanche, and Joe) and there is even less doubt that McBride is a capable writer with a twisted mind (see The Foot Fist Way, Eastbound and Down, and Vice Principles), but to see both of these guys go in on and come up with their interpretation of one of the original and greatest horror films in cinema history seems an experiment too good to actually have been funded. There will undoubtedly be a lot of influence from the original film at play here and I'm anxious to see how Green decided to balance that with his and McBride's interpretation, but mostly-and in part thanks to this teaser-I'm just really excited to see a fresh take on classic material considering the interesting and intelligent people they've recruited to accomplish that task. 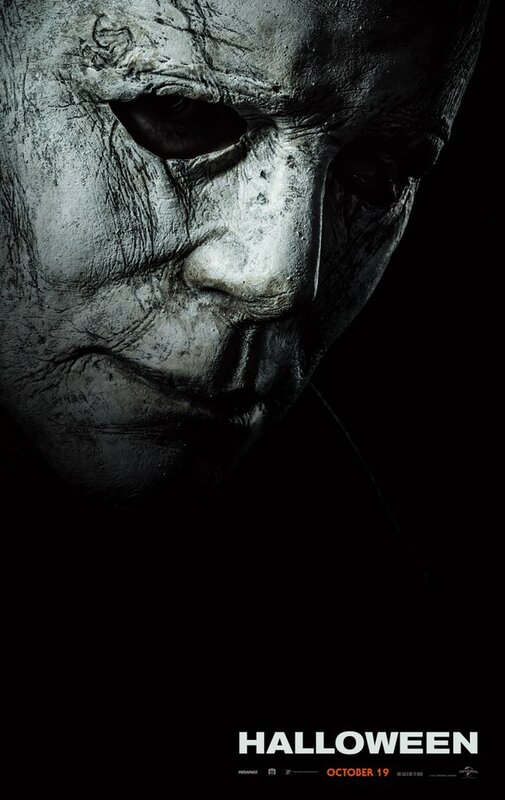 The film will also star Will Patton, Virginia Gardener, Dylan Arnold, Drew Scheid, Toby Huss, Miles Robbins, and will feature the return of the original Mike Myers, Nick Castle, in the iconic role with stuntman and actor James Jude Courtney helping to bring "The Shape" back to life. Halloween is set to open on October 19th, 2018.